• Inland Revenue has updated the information on their website regarding Paid Parental Leave (PPL), to clarify and expand the details regarding qualifying, applying, payments, transferring PPL to your spouse/partner, and working while on PPL. 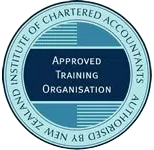 • Further to our article in October 2017 on the accounting income method (AIM), the new provisional tax option for small businesses, the IRD website has published comprehensive information on AIM, including examples. AIM must be used from the beginning of a financial year, and can be applied to the 2018/19 financial year onwards. • From 1st April 2018, new investors in multi-rate PIEs (portfolio investment entities) will need to provide their IRD number to the PIE, otherwise they will not be able to invest in it. • As an employer, you should check that all Employer Monthly Schedules (EMS) are filed and correct before filing the final one for March 2018. The IR345s should match the payments, and match the EMS totals plus the ESCT totals. Any adjustments made to KSR should have a corresponding ESCT adjustment. EMS errors can have implications for ACC assessments as well as individual employees’ accounts. Contact IRD if there are any discrepancies, or complete an Employer Monthly Schedule amendment (IR344). 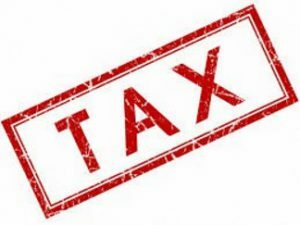 • Sole traders must pay tax on their business’ profit instead of deducting PAYE. All earned income is taxed, and work expenses can be claimed to reduce the income tax. To calculate tax, an IR3 should be filed at the end of the financial year, or from 1st April 2018 AIM-approved software can be used to pay tax throughout the financial year. • Parliament is currently considering payday reporting legislation, which would require that PAYE information is reported on paydays rather than monthly. If the legislation becomes law, payday reporting will be voluntary from April 2018 and compulsory from April 2019. • Please be aware that some of our clients have received spam emails from the “IRD”, stating that they are owed a tax refund. Be extremely vigilant if you receive these types of emails as their appearance looks quite legitimate. If in any doubt please contact us. • On 1st April 2018 the minimum wage rate rises from $15.75 to $16.50 per hour for employees aged 16 years or older.